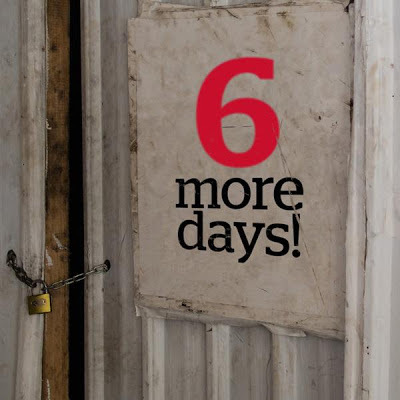 In just 10 days, we will be opening the doors to a whole lot of happy and memorable shopping experiences! Hands up if you are excited for this! 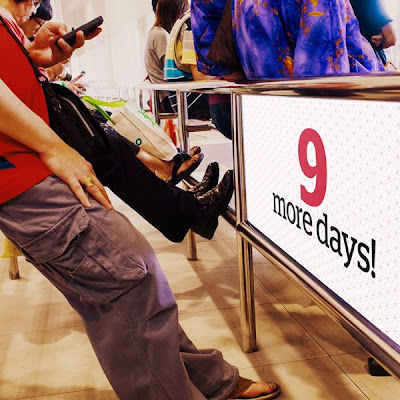 9 more days of waiting… and the fun begins! We are sure most of you can't contain your excitement 'cause it's 8 days till we open! 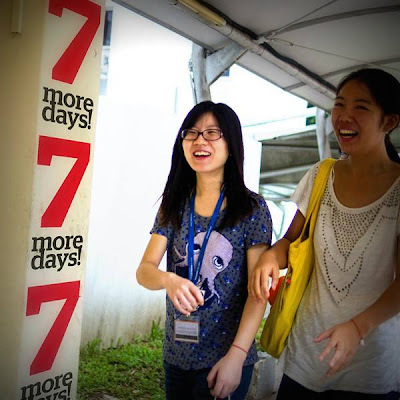 7 days to happiness! Make sure you bring along your friends for your first visit to Jem! 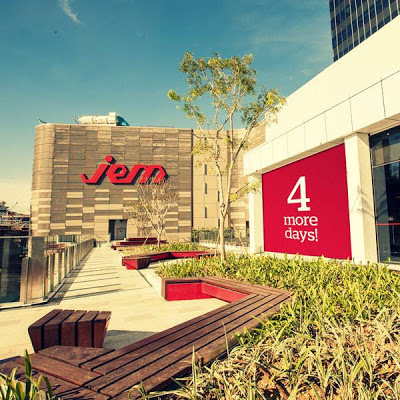 Jem will be open in just 6 days! See you soon! The wait is almost over! 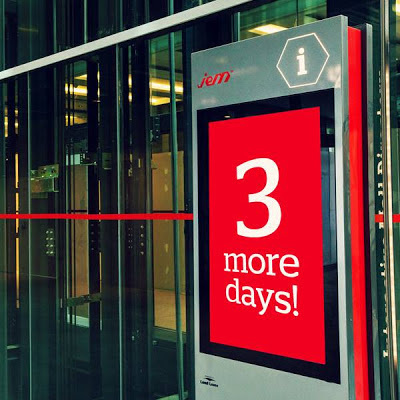 5 days till Jem is open! Come rain or shine, we'll make sure you have a great time! 4 days till we're open!!! 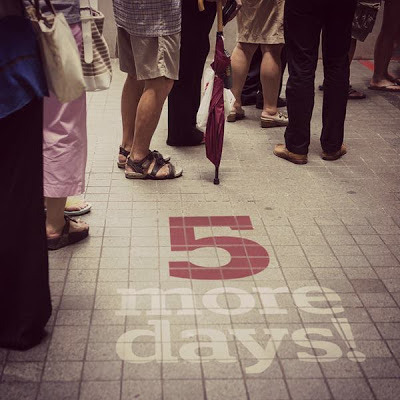 Happiness is just around the corner… see you in 3 days! 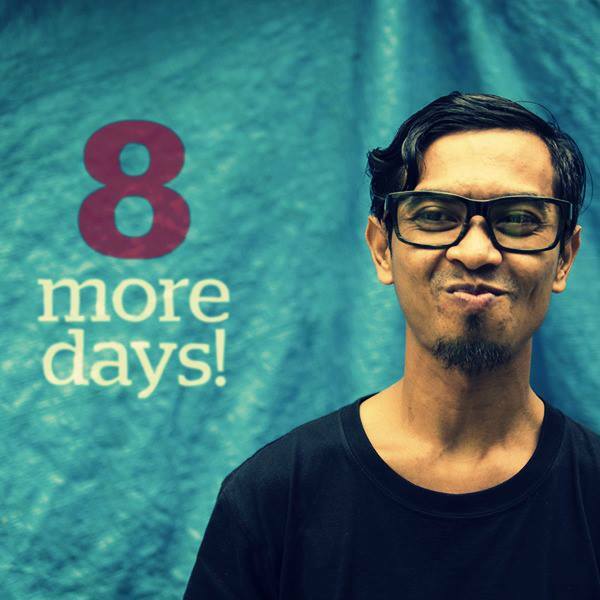 2 days to go! Now, get ready for Jem! 1 day till Jem's big day! Are you all getting giddy and excited? Hello everyone, we are very sorry to announce that we will not be opening today. We are doing everything we can to bring the Jem experience to you, as soon as possible. We sincerely apologise for any inconvenience caused and will update everyone on the opening date as soon as we can. The highly anticipated Jem mall in Jurong East did not open on Tuesday as planned, surprising some of its major tenants. In a statement at press time late Monday night, Australian developer Lend Lease said it will be shifting the opening date back, citing "administrative issues". Earlier, it had announced to much fanfare that the 241-store mall would open on Tuesday. It even conducted a tour for the media, told tenants to prepare themselves and fixed an opening celebration ceremony on Thursday. Tenants including The Soup Spoon had even stationed staff at Jurong East MRT station nearby to give out fliers announcing their opening in Jem. "We were anticipating having received all the necessary endorsements by the end of business today. However, that was not the case," said Jem's development director Chris Brown on Monday. "We have therefore taken the difficult decision of not opening the mall to the public tomorrow in order to adhere to regulatory requirements." He added: "This is in the best interests of the public and the retailers... We sincerely apologise for the inconvenience caused and we will notify the public on the new opening date as soon as possible." The Straits Times understands that the opening date will be moved back till beyond June 13. When contacted Monday night, retailers like Swedish fashion brand H&M were taken by surprise. Its marketing manager Lisa Chai was still preparing for the scheduled opening at its new three-storey outlet at Jem when The Straits Times contacted her at 10.40pm. "We are all geared up for the opening. I am very shocked," she said, adding that she will be calling Lend Lease immediately for answers. Do-it-yourself store Home-Fix's managing director Low Cheong Kee said he was told to open on Thursday. "As far as I know, we are still opening on that date," he said, adding that the mall's opening date has already been pushed back before." "Another delay would be unfair. We rushed things to open on time and that pushed up our renovation costs." Lend Lease won the site in a government public tender in June 2010, beating five other offers with its bid of $748.9 million. 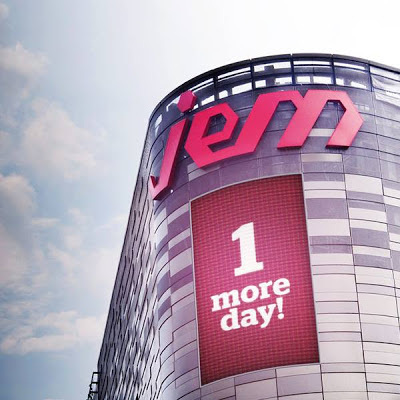 Last month, the media had reported that Jem would officially open to the public on May 29. Its tenants include 59 brands new to the suburbs, including department store Robinsons and H&M. Lingerie brand Victoria's Secret, Books Kinokuniya and cosmetic chain Sephora will also open their first suburban stores at the six-storey mall in Jurong Gateway Road. 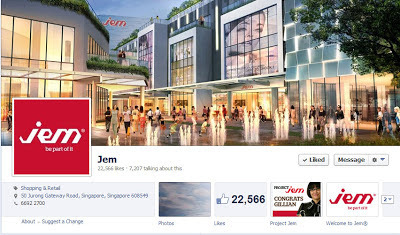 When it opens, Jem will be the third-largest suburban mall in Singapore, after Jurong Point and nex mall in Serangoon Central. It expects to attract more than 50,000 shoppers a day. Lend Lease was also the developer of Orchard's 313@Somerset and Parkway Parade. According to a media statement from the Jurong mall's Development Director, Mr Chris Brown, they are making "good progress" in processing the required fire permits from the Singapore Civil Defence Force (SCDF) before they can open. Said Mr Brown: "With the T.O.P. of the building’s retail component received on 31 May, the base building has received all necessary approvals. "We are making good progress of processing the final permits required for the tenants to commence trading. "Until these are in place, we continue to maintain the difficult position of not opening the mall to the public in order to adhere to regulatory requirements. "We are focusing on getting Jem opened as soon as possible. "We look forward to advising you on the new opening date as soon as we have the information. " Jem announced on June 11 over its Facebook page that they would not be opening as scheduled. The post garnered over 100 comments, with many expressing their disappointment and frustration. 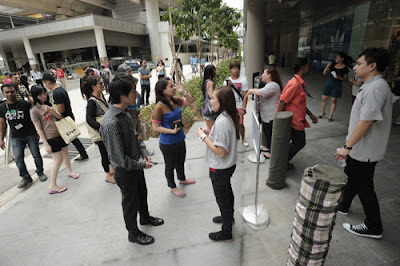 Jem added in another post on Tuesday that they were sorry for the delay and would give a token of appreciation to shoppers who made their way there between 10am to 11am. Hello everyone, thank you all so much for your patience and support. We’re happy to share that Jem will be opening this Saturday, 15 June. See you then! Jurong East's Jem mall will finally open tomorrow after a four-day delay, for which some tenants want compensation. Jem's development director Chris Brown confirmed the 10am opening but said the matter was confidential when asked if compensation was on the cards. The 241-store mall did not open as scheduled on Tuesday as not every unit had been issued the required fire permit. At least a Temporary Fire Permit is needed by both the mall itself and its individual units to begin operations. The Singapore Civil Defence Force told The Straits Times all outstanding fire safety applications had been processed and approved by noon yesterday. Applications were to have been submitted by the mall's architect. When contacted, SAA Architects declined comment. Jem, located near Jurong East MRT station, was developed by Australian developer Lend Lease, which also developed Parkway Parade and 313@Somerset. Tenants, who were given the new opening date yesterday, said they were told only on Monday night that the next day's opening was off. Ms Chloe Sng, the senior marketing manager of Select Group, which is opening a restaurant, Hong Kong Sheng Kee Dessert, said: "Lend Lease wanted us to rush to open on the 11th, so we paid contractors more to work 24 hours. That was a big waste." The restaurant chain, which hired six people to work at the basement-level outlet, had to throw food away. "We had all the food on standby. Some items could be moved to other outlets, but many outlets didn't need more stock," she said. "We hope the management will look into the issue and see how they can help us." Other tenants had bins stuffed with decaying congratulatory wreaths and retail staff they had to pay who did not work. Chief executive of electronics retail chain Epicentre, Mr Jimmy Fong, said manpower losses for the 12 employees hired for its two outlets at Jem came up to about $4,000. "Rent was supposed to kick in on the 11th. We will be negotiating for no rental for the first four days," he said. "We also had additional staff hanging around doing nothing and being paid. We also want to negotiate for the loss of sales opportunity." At least one other tenant, Dragon Brand Bird's Nest, will also be asking for compensation for manpower and rental costs. Nearby residents had been looking forward to the opening of Jem, which boasts 59 tenants new to the suburbs, including fashion retailer H&M, lingerie brand Victoria's Secret and Books Kinokuniya. A 10-screen Cathay cinema complex, a water playground and a 70,000 sq ft FairPrice Xtra will open at a later date. Lend Lease hopes to attract more than 50,000 shoppers a day from areas including Bukit Batok, Clementi and Upper Bukit Timah. Ms Adele Teo, 38, an engineer from Bukit Batok, was at Jem on Tuesday, but was directed away by mall staff. 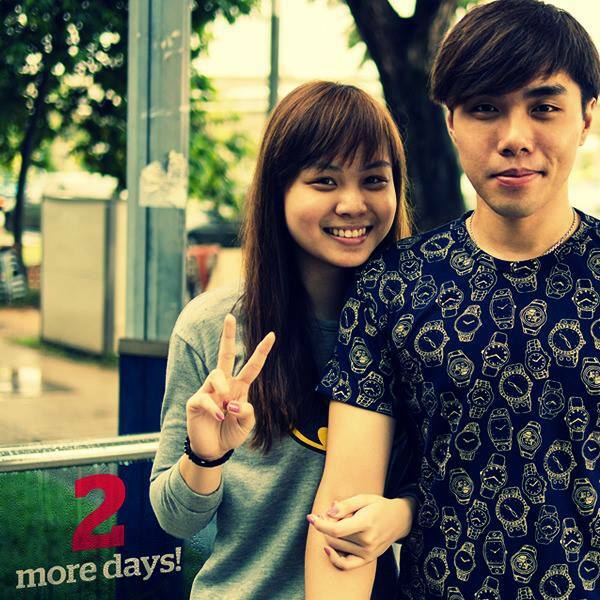 "I will visit Jem some time next week," she said. "I am looking forward to shopping at H&M."